DENTON, TX, May 4, 2014 – Each Monday, the members of the Nighthawk Composite Squadron of the Civil Air Patrol meet to learn about aviation, aerospace engineering, search and rescue, and leadership. Saturday, May 3, the squadron held an open house for the public at the Denton Airport. The Open House featured a display of current and historic CAP aircraft and demonstrations of search team equipment. The aircraft on display included a Stinson 10A used by CAP for submarine patrol in the 1940’s, a Ryan Navion and Piper Cub used by CAP in the 1950’s, a Cessna 195 used by CAP in the 1970’s and a current era CAP Cessna 172. In conjunction with the Open House the squadron hosted an FAA FAAST Team Wings safety seminar on VFR Flight Plans and Search and Rescue. The seminar was co-taught by Andy Osantowske of Lockheed Martin Flight Services and Major Steve Robertson, the squadron’s commander. The Open House was very successful with over 40 members of the public visiting throughout the day and 28 pilots attending the safety seminar. 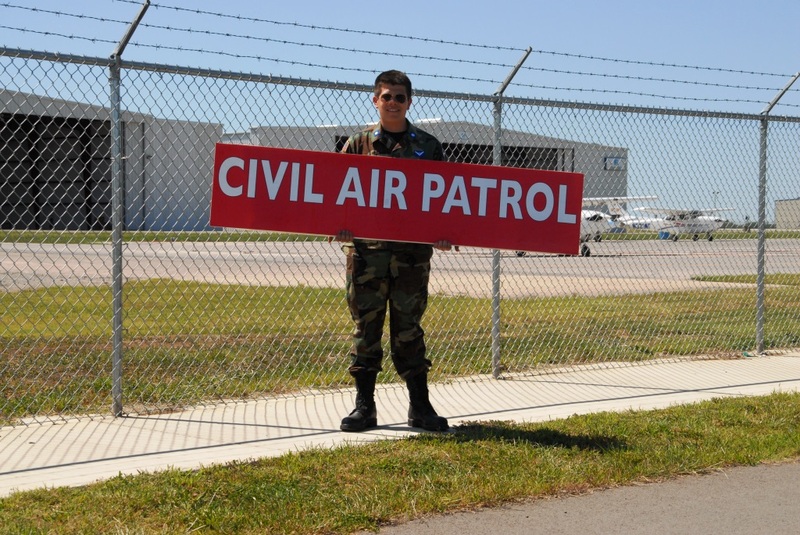 The Civil Air Patrol is a volunteer, civilian auxiliary arm of the United States Air Force with both a senior member and cadet programs. The cadet program is open to those ages 12 to 18. 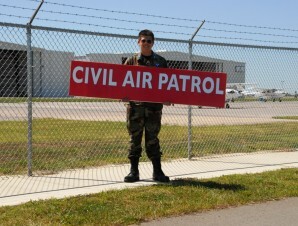 Joining the Civil Air Patrol gives youth interested in flying significant exposure to aviation. Cadets can event learn to fly powered aircraft and gliders in summer encampments. Each cadet also gets to go on five “orientation flights” in the squadron’s Cessna 182. Civil Air Patrol cadets wear an Air Force style uniform, and participate in drills and other military training. “We teach them customs and courtesies, drills, ceremony. We teach them how to follow and how to become leaders,” said Lt Col Jack Faas, the squadron’s Deputy Commander. The Cadet Program is very structured and involves testing physical fitness, leadership qualities and aerospace education. A big part of what the CAP does is search and rescue — both in the air and on the ground. Senior Members and Cadets may both attend search and rescue training as well as get involved with actual air and ground searches for missing or overdue aircraft or persons.